If you’re longing for a good night’s sleep, you’re not the only one. Infants wake up often and loudly throughout the night. You can’t always predict and prepare for the things that make them go bump (and “waaah!”) in the middle of the night, but there are certainly plenty of things you can do to ensure that they sleep as soundly and safely as possible. Laying your child down in their crib at night doesn’t need to be a gamble. Buying the proper bedding equipment helps you rest with the peaceful knowledge that they are tucked in securely on their backs, and snugly bundled at just the right temperature. Overheating and children rolling onto their stomachs in the night are just two causes of SIDS (Sudden Infant Death Syndrome). This can sound scary, but plenty of family- and infant-oriented companies out there have engineered cribs, mattresses, bumpers, and blankets to keep your child happy and healthy. These wearable blankets are one such example of products designed specifically for baby’s (and your!) benefit. Wearable blankets, also known as sleep sacks, ensure that baby won’t kick their blankets off in the middle of the night and wake up cold, nor will they wind up tangled in the excess fabric when they wiggle around to get comfy. There are varying thicknesses of material, so you can choose the blanket best-suited for your usual environment and temperature. They’re easy to put on, they stay on, and they help everyone in the house catch some much needed zzz’s. Here are our top 10 picks to give you and baby some truly sweet dreams! Sleep sacks take the place of loose blankets in baby's crib and so alleviate the possibility that blankets will end up near his or her face and impede breathing. We have recently updated our list of the top 10 to include a number of new sleep sacks. In addition we have reviewed all other product information to ensure that fabric, construction, washing instructions, sizes, cost and availability are up to date and accurate. Nights just got a little more cozy with the Halo Sleepsack. This sleepsack is sleeveless and made out of 100% polyester microfleece, so your baby will stay warm but will not overheat. The sleepsack comes in small, medium, large, or extra large. 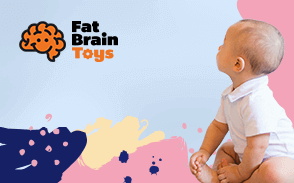 The small appropriately fits babies who are 10 to 18lbs or up to 6 months old. The medium fits babies who are 16 to 24 lbs. The large will fit babies who are 22 to 28lbs and the extra large will fit babies that are 26 to 36 lbs. This sleep sack comes in 36 different colors all with “Back Is Best” sewn in the top right corner. This design reminds parents to lay their baby on their back. Halo is the number one trusted choice of hospitals. You’ll be able to sleep soundly knowing your child is resting safely. For easy diaper changes, you can unzip the sleepsack from the bottom. This sleep sack allows your baby’s hip to develop appropriately as it provides plenty of room inside for your child to move their legs. Reminds parents to place baby on their back. Not only will this blanket keep your baby warm and cozy, it ensures proper development by not restricting leg movement. The embroidery on the front of the sleepsack serves as a good reminder to parents to put baby on their back. The Love To Dream Sleep Sack allows babies to sleep in their natural position. When you wrap your baby into a blanket, it restricts their arm movement. This sleep sack allows babies to sleep with their arms up. It is made of 93% Cotton and 7 % elastane. The lack of loose fabric reduces the chance of your baby suffocating. When purchasing you can choose from 5 different colors and 3 different sizes. Extra small for babies who are 4.5 - 7 pounds, small for babies who are 6.5 to 13 pounds, or medium for babies who are 13 pounds to 18.5 pounds. The Dual zippers allow you to change their diaper without fully taking them out of the sack. Allowing your baby to sleep with their arms up, gives them the opportunity to self-soothe when they wake up in the middle of the night. They will self-soothe by touching their face and sucking on their hands. With their arms up, babies are less likely to roll over. Your baby will sleep more peacefully as this sleep sack provides gentle pressure on their body. The unique design of this sleep sack is it’s most notable feature as it allows babies to sleep with their arms up. The dual zippers make diaper changes in the middle of the night super easy as it allows you to change their diaper without removing them from the sleep sack. Bundle up; ‘cause baby, it’s cold, outside. But with Halo’s Winter Weight Sleepsack (TOG rating 2.5), your little one is guaranteed a cozy night’s sleep. With a 100% cotton outer and polyester fill, it’s no wonder Halo’s quality products are the #1 choice of 1,250 hospital nurseries across the nation. This particular product, designed for warmth, ease, and comfort, features an inverted zipper for diaper changing convenience, and a long, roomy cut with plenty of area at the bottom of the sleepsack for wiggly little legs. The Hip Dysplasia Institute recognizes Halo’s design as “hip healthy”, as it allows growing legs proper room to develop. Between the small and medium fits, Halo has babies from 10 to 24 pounds covered, quite literally. Simply slip your baby into regular sleepwear, bundle them up in the sleepsack, and rock them to sleep. The founders of Halo lost their child to SIDS, and have made it a central part of their mission to help prevent others having to experience the same tragedy. A portion of every purchase goes towards partnerships with nonprofits that help educate parents about the safest sleep practices for their babies. It keeps baby warm, but prevents overheating, part of the money from your sale goes towards nonprofits, and the waving penguin in a beanie stitched onto the front is just plain adorable. Halo is back with another high-quality product. The Halo Velboa Sleep Sack is 100% polyester. It is available in three different colors and has the signature “back is best” slogan sewn on. The textured polka dots on the outside add an adorable touch to the look of the product. The Sleepsack can be adjusted three different ways to ensure your baby is sleeping comfortably. You can tuck baby’s arms in, allow them to sleep hands to face or allow one or both arms to be out. The adjustable fasteners securely keep your baby tucked in. The sack is roomy, thus encouraging proper hip development. Equipped with an inverted zipper this sleep sack guarantees easy diaper changes. The fabric is super soft allowing your baby to extra comfortable. The adjustable fasteners that provide three different ways for your child to sleep make this sack practical. It is sleeveless which will keep your baby from overheating. If you’re keen on all-natural companies, you’re probably familiar with Burt’s Bees. This simple, trendy wearable blanket is no break from their usual adherence to safety, quality, and comfort. Attentively sized to ensure babies have free but safe mobility, and equipped with a bottom-to-top zipper to make diaper changes easy, this sleep sack is carefully structured for everyone’s convenience. Made from 100 percent organic, GOTS-certified cotton, the fabric is thinner and gentler on baby’s sensitive skin. It’s combed and ring-spun, resulting in premium softness, durability, and no-pill washing. Burt’s Bees is all about top-notch products made with ecological practices in mind. Plush, carefully sized, and spun from 100 percent organic cotton, this sleep sack is comfy for baby while also being functional and hassle-free for mom or dad. This sleep sack is ultra-plush and made from high-quality, certified, combed and ring-spun organic cotton. It will be comfortable on baby’s sensitive skin and is engineered to be easy to get on and off without waking your sweet pea. Do you worry about your baby being warm enough on those cold winter nights? You can stop worrying because the Halo Winter Weight sleep sack will keep your baby warm on the coldest of nights. It is 100 percent cotton with a penguin sewn on. Not only is it super-soft but also really adorable. You won’t have to worry about your baby overheating as the sack is sleeveless. You can purchase this sleep sack in blue or pink and in small, medium, or large. The sleep sack unzips from the bottom, so diaper changes are a breeze. There is plenty of room in the bottom for your baby to move their legs and to kick. The roomy bottom encourages development for their legs and hips. With the sleep sack, you can say goodbye to loose blankets in your child’s crib. The extra fluff on this sleep sack makes it ideal for winter nights. Since it sleeveless, you don’t have to worry about your child overheating. Your little one can now experience the magic of Disney from the comfort of their crib with the Disney Dumbo Wearable Blanket. The blanket is available in seven different colors. Each color has a unique pattern and a Disney character sewn on. It comes in two sizes, small and medium. Your little one can remain warm throughout the night as it is impossible for them to kick it off. No loose blankets also mean no chance of your child getting twisted in them and suffocating. Both you and your baby can sleep peacefully as you dream of the wonderful world of Disney. The sleeveless design prevents your baby from overheating. The sleep sack provides plenty of room for your baby to kick their legs around. The inverted zipper will keep you from having to take your baby fully out of the blanket when changing their diaper. The available patterns and disney characters make this sleep sack absolutely adorable. Priced under $20 we find this product to be very affordable, as your child will be able to sleep in it peacefully for many nights. The Baby DeeDee sleep sack is a lightweight sleeper. Made of two layers of 100% cotton, your baby can snuggle into the soft fabric and sleep peacefully. The lightweight cotton will allow your baby to use this on cool summer nights. This sleeper is available in nine different colors and can be purchased in a small, medium, or large. It is sleeveless so your baby can sleep with their arms over near their head. You don’t have to stress about trying to get your baby into this sleep sack. Just lay it flat and place your baby on top. The inverted zipper and the shoulder snaps provide a secure and cozy fit. Both the zipper and snaps are durable, thus allowing you to use this sleep sack for many months. We love that you won’t have to struggle to put your child’s arms through the holes, as the shoulder straps snap around the arms. The cotton is super soft and light weight which allows you to use this during the summer. Oenbopo took the classic sleep sack design and made it unique. This sleep sack is knitted from wool which is not only soft but will keep your baby warm. The sack can be easily opened or closed via the buttons on the sides. When the buttons are not fastened, you can use this sack as a baby blanket. It can be purchased in 7 different colors and is perfect for newborns and babies up to one year of age. The attached hood provides extra warmth for your little one’s head. It is washer and dryer safe. When you’re ready to clean it, throw it in the washer and set the cycle to delicate. After the blanket has been washed in cold water, tumble dry it on low. The attached hood provides extra warmth for your baby. The wool and buttons will keep your baby secure and cozy inside. Carter’s sleep bag is 100% polyester. This particular sleep sack is white with an adorable lamb design on sewn on the chest. However, you can choose between 30 different colors and designs of Carter’s sleep sacks. You can purchase a small for children 0 to 3 months or a medium for children 6 to 9 months. Seeing as how there are sleeves, your child will be warm enough wearing only a onesie underneath. When it needs to be cleaned, just pop it in the washer. You won’t have to worry about the zipper irritating your child’s chin because this sleep sack is equipped with a worry-free tab. The fabric that goes over the zipper will also keep them from chewing on it. The worry free fabric tab included on this sleep sack is great as it will keep your child from chewing on the zipper and having the zipper irritate their chin. By now you know the importance of sleep sacks. Seeing their importance and that your baby will use them often, we took making this list seriously. Through our research, we found sleep sacks that are safe, developmentally appropriate, and suitable for all babies. Always safety is our number one priority! As discussed earlier, overheating is a common cause of SIDS. We made sure to have a wide variety of sleeveless sleep sacks on this list. Sleeveless sacks will keep your baby’s body warm but also allow air to circulate through the armholes to keep them from overheating. If the sleep sack has sleeves, it is not recommended for your baby to wear long sleeves underneath it. Sleep sacks also eliminate the need for loose blankets in your child’s crib. Once your child is secure in the sleep sack, they won’t be able to kick it off. This eliminates the possibility of them getting tangled in loose fabric and suffocating. We recommend buying a sleep sack that is true to size as a snug fit will also eliminate excess fabric. Several of the sleep sacks have “Back is Best” sewn on the chest area. This serves as a great reminder to parents to put their babies on their backs. When babies sleep on their stomachs or sides, they are at risk of suffocating. There are sleep sacks that are made of lightweight material for the warmer months and warmer climates. One of the great things about sleep slacks is that they don’t restrict your child’s movement. Unlike blankets that are wrapped tightly around your baby, sleep sacks give your child the ability to move their legs freely. Babies love to kick and it’s good for the development of their legs and hips. Sleep sacks also allow your baby to return to their natural sleeping position, which is with their arms near their head. This list is full of sleep sacks that appeal to both boys and girls. There are a variety of patterns, colors, and designs of sleep sacks displayed throughout this list. Most of the sacks listed carry several different options of sizes. Whether your baby is a newborn or a toddler, there is a sleep sack on this list that is perfect for them. Q: How many sleep sacks should I purchase for my child? A: We recommend having at least five, so you can be prepared for leaky diapers. Q: What should my baby wear underneath the sleep sack? A: This all depends on the temperature of your nursery. Typically, a cotton onesie works well; if your sleep sack is sleeveless go for a long-sleeved onesie. Q: Can I purchase a size larger so my baby can use it as they grow into it? A: We recommend purchasing the size that matches your baby’s current size. Excess material can bunch up around your baby’s nose or mouth and suffocate them. Q: What type of sleep sack should I use in the winter? A: Sleepsacks that have a higher TOG, and that are made of fabrics like fleece and sherpa are perfect for the winter months or cold climates. A: TOG refers to a unit of measurement for temperature control/thermal resistance. It originates from an old slang word “tog,” which referred to clothing, and therefore is often used as a standard in the textile/fabric industry. The scale starts at 1 Tog (meaning the item rated is suitable for winter conditions) and goes up to 15 Tog (meaning the item is best used during summer/in warmer climates). The ideal temperature for your nursery sits between 68 to 72 degrees, so keep that in mind when looking at TOG ratings for items you’ll be using in your home vs. outdoors or traveling. Q: Can my baby sleep under my comforter with me? A: It is strongly recommended that you never allow your baby to sleep on a soft surface. Your baby should sleep in their crib, on their back. Q: How many stuffed animals can be in my child’s crib? A: None! Loose blankets, stuffed animals, pillows, and soft bumpers can all be risk factors for suffocation when left in your child’s crib. Q: When can my child sleep with a blanket? A: Small blankets become less hazardous to your child as they reach 1 year old.